CINCINNATI — A change is coming to the Camp Washington landscape, and community leaders are hoping that it will be the first of many in a neighborhood that has been fighting to change its image. A new multi-level structure going up on the corner of Arlington and Colerain, right off Interstate 75, will be a $16 million storage facility. The owners have a similar business in Lexington, Kentucky. 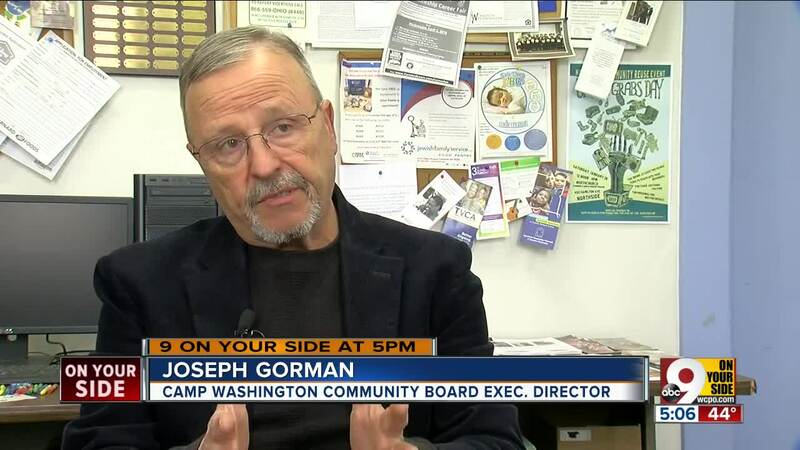 Joseph Gorman with the Camp Washington Community Board said they've been working with the city in hopes of bringing the area back to its former status as an economic powerhouse. The neighborhood could be appealing for businesses and people who have been priced out of nearby communities like Northside and Over-the-Rhine, he said. "We're only three miles north of Downtown and Over-the-Rhine, so we're accessible to a lot of places, plus the second-largest employee base in the city is right up here on Pill Hill," Gorman said. Construction on the new storage facility should be finished by the fall. But that's not the only change coming to the neighborhood. There are plans in the works to redevelop the old Crosley building, right across the street, as an eight-story, 240-unit apartment building. A contractor has been secured for the job, but there isn't yet a start date set for the construction.